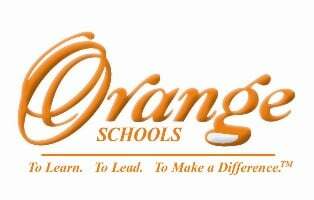 The Orange High School marching band will say goodbye to Pepper Pike on Dec. 29 when they travel with band director Brandon DuVall to the annual Sugar Bowl in New Orleans. The 70 Orange students will join 12 other bands from across the nation to perform in a parade and the Sugar Bowl halftime show in the Mercedes-Benz Superdome on Jan. 2. Auburn faces Oklahoma at 8:30 p.m. on ESPN. In his 16 years of experience as band director at Orange and at Cuyahoga Falls High School, DuVall has traveled with students to perform at venues throughout the United States. He recently traveled to Chicago for the Thanksgiving Day parade with the company WorldStrides OnStage, the same agency coordinating Orange’s Sugar Bowl appearance. It was this connection that allowed the Orange marching band to apply to perform and, ultimately, receive acceptance. The Orange band will perform a medley with other attendees during the halftime show Jan. 2 and then on its own during the parade. The lineup includes “Crazy Train” by Ozzy Osbourne and The Ohio State University fight song. DuVall said the students also will have time to explore the city before returning Jan. 4. The current itinerary features a French Quarter ghost tour, steamboat dinner cruise and tour of Mardi Gras World warehouse where floats are constructed. “It’s wonderful to be able to present these types of opportunities for our students here in Orange and really expose them to what opportunities exist in music,” he said. Hannah Edelman is the Yoda Newton Editorial Intern.